Frank Ocean may have been quiet for the past four years, but this week he made up for it. 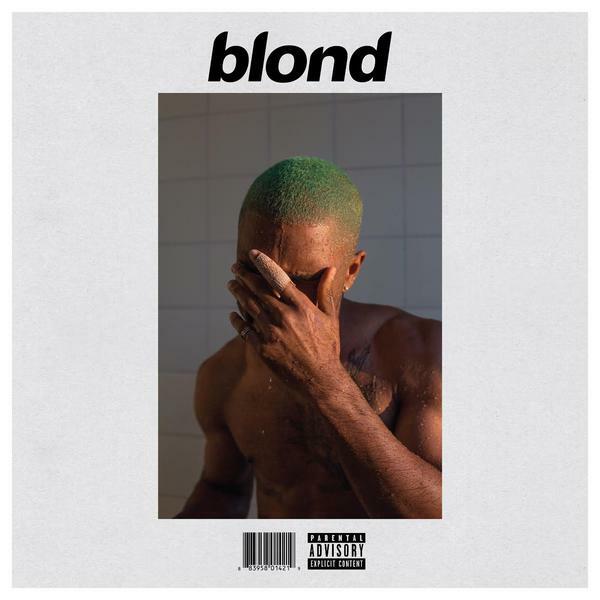 The Grammy-winning singer just released his second album Blonde along with a visual mixtape Endless, and a zine titled Boys Don’t Cry, which features exclusive photos, personal essays, and a poem by Kanye West about McDonald’s amongst other impressive contributions. “My memories are in these pages,” he writes in a letter within it, making it the cherry on top of a huge Frank Ocean-themed sundae. Hits like “Thinkin Bout You,” “Pyramids,” “Sweet Life,” and “Novocaine” have been getting bumped heavily since his acclaimed debut album Channel Orange was released in July 2012. Ocean successfully captured the attention of critics and fans, but then he dropped off the radar. Out of the blue, Ocean surprised everyone this week with a live stream of him building a staircase, soundtracked with new music. Fans went wild, but that was just the beginning. Soon, an Apple Music link appeared taking fans to the 45-minute visual album, Endless, and a music video directed by Tyrone Lebon for new track “Nikes” began playing on his website. 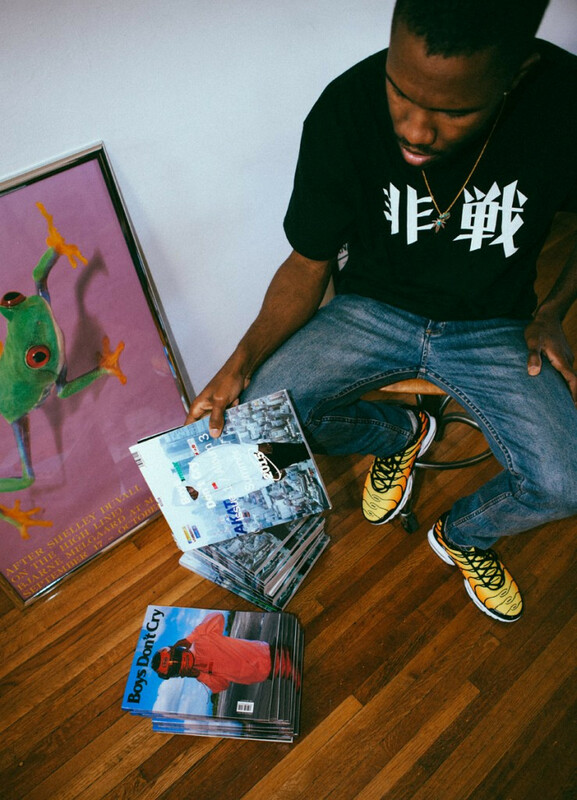 And then, the very next day, Ocean announced pop-up shops in Los Angeles, New York, Chicago, and London for his 366-page zine, Boys Don’t Cry and dropped a second studio album, Blonde. While Christmas came early for the fandom, it was a controversial move on Ocean’s part. Endless seemingly fulfilled Ocean’s contractual agreement with his former label Def Jam, allowing him to drop Blonde – one of the year’s most-anticipated albums – independently. It’s a move that cuts Def Jam and its corporate overlord Universal Music Group out of the profit share. “I got two versions. I got two versions,” he says in a voice pitched way down at the opening of the “Nikes” video. The imagery depicts two versions of the McLaren F1 GTR and two young Asian girls, but just as likely yr boy Frank could be alluding to the two releases. The rest of “Nikes,” like much of Ocean’s catalog, is littered with pop culture references; the rules of Fight Club, that scene from American Beauty, Heaven’s Gate cult, murdered teen Trayvon Martin, Amber Rose, and Jenny Holzer are in the mix. Holzer’s Truisms shirt, which famously features a wall of white text that opens with the phrase “Abuse of power comes as no surprise,” is what the singer is wearing as he sets himself on fire, before he puts the fashion game on lock and dons a sparkly custom Balmain. The new album was recorded in Tokyo, New York, Miami, LA, London, and Paris. It features a ton of big deal collaborations including Andre 3000, Beyoncé, Kanye West, Kendrick Lamar, Pharrell Williams, Tyler, The Creator, Brian Eno, the late David Bowie and Elliot Smith, and the Beatles, amongst many others.